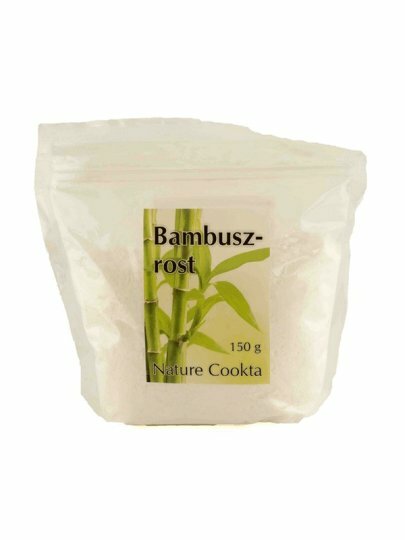 Bamboo fiber is a novelty in the world of modern diet. They are quite used in Eastern cuisine, while we still have relatively unknown foods. They are used in making cakes and rolls, they are added to the dough, which becomes softer and easier to slicing, and after baking the corset will be crunchy. They look like flour, when making cakes give the effect of increasing the volume of the dough, which makes them lighter and easier to cut, and after baking the crust will be more crispy for them. Bamboo shoots are rich in edible fiber and are one of the symbols of Chinese cuisine. Rich in vitamin B1, more precisely thiamine, while 100 grams of bamboo has 27 kcal. It also has antibacterial activity. It has also been shown to have antimicrobial and antifungicidal properties as well as the ability to protect brain cells from oxidative stress. Researchers say that bamboo shoots are poor in calories, rich in dietary fiber, protein, carbohydrates, amino acids, minerals, and still contain sugars, fats and salts.